Over the years, there has been an inordinate amount of ink spilt on the significance of first impressions, what I have typically coined as the image of the “shop-front-window.” These impressions and images can leave rather indelible and memorable imprints upon our lives. Our first encounter of San Joaquin, and I hasten to add impression, was the moment Tracy and I walked through Customs in SF Airport and awaiting us was our Diocesan Chancellor, Michael Glass. Michael acted as chauffeur and tour guide throughout our journey from SF to Fresno. Michael, I wish to say to you and before the readers of this installation of The Friday Reflection, you provided an absolutely wonderful introduction to and impression and image of San Joaquin for us. Thank you. Upon our arrival in Fresno and following a most welcomed night of sleep, we were greeted by Canon Kate. Kate was immediately warm and welcoming, not-to-mention, exceedingly helpful in the ways in which she offered gentle guidance and counsel and care. Thank you Kate. We next met Ellen Meyer in the office at St. Paul’s in Modesto and how wonderful it was to attach the voice and written words to the person. Thank you Ellen for the lovely and efficient ways you have prepared for and given attention to our arrival and beginning in SJ. 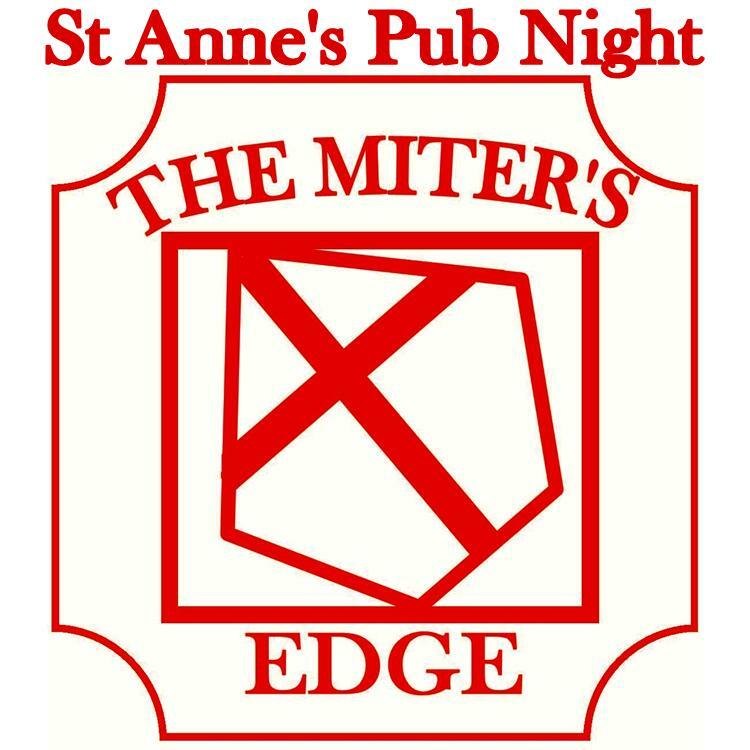 Our first occasion in the diocese was Pub-Night at St. Anne’s, Stockton. I want to express my appreciation for and congratulations to Rev’d Lyn and everyone who contributed to this stunning event. On the night we experienced much laughter, singing of very familiar songs and we even enjoyed imbibing a good ole English ale or two. What fun it was, thank you Lyn and everyone from St. Anne’s. Sunday morning was my first “visitation” and said visitation was at St. John the Baptist, Lodi. It would be completely-and-utterly remiss of me if I didn’t say, San Joaquin, you could not have scripted this any better. The welcome and reception and hospitality were, well in a word, extraordinary! Rev’d Elaine, to you and everyone who contributed to this marvelous “first-visitation” experience, many thanks. And thank you to the people of St. John the Baptist for the assortment of wine (Go Lodi!) and the other gifts. And of course there was Sunday afternoon at St. Paul’s in Modesto. The Service of Dedication and Celebration was beautifully crafted and I trust the liturgy reflected the hope and aspirations of The Episcopal Diocese of San Joaquin. To Rev’d Kathleen and to everyone at St. Paul’s, thank you, thank you, three times thank you for the noteworthy day that was. I also want to seize this opportunity to thank my soon-to-be predecessor Bishop Chet for his generosity and grace in ensuring that this transition is as seamless and healthy as possible. Thank you +Chet. I will endeavor to continue the wonderful work you offered to SJ and Bishop Jerry before you. And I also wish to offer words of appreciation and gratitude to Rev’d Michele and the Standing Committee for the many ways in which you helped us to “Hear what the Spirit was saying to us” as we discerned the possibility of shifting to San Joaquin. Your words of hope, enthusiasm and encouragement certainly made “praying to this point” far easier. Thank you. So, as far as first impressions and images are concerned, the “shop-front-window” is full of promise. Rich hospitality, genuine care, significant laughter and sincere hope speak well of us and will continue to serve us well and all of God’s People now and in the days before us. The “Party” Bus to Special Convention Continues to Fill! Take off is 5:30 a.m. on March 29th from the Park and Ride lot on the west side of Vintage Faire Mall in Modesto. March 8th remains the cutoff date for the $50 rate. All reservations after the 8th (if available) go to $65.00 until the bus is filled. Don’t miss this opportunity to participate in this Special Convention at one of the diocese’s newly returned churches. For information and reservations contact (209) 869-1075, or ctkriverbank@sbcglobal.net. Be there or be square! The application deadline for ECF’s Fellowship Partners Program is less than one month away. As theMarch 14 deadline draws near, we are asking that all our friends and colleagues consider whether they know of an innovative scholar or ministry leader, lay or ordained, whose work fills them with a sense of hope. If so, please forward this email to them and let them know about ECF’s Fellowship Partners Program, a program that has been building a vibrant network of scholars and ministry leaders across the Church for 50 years. · ECF is committed to strengthening the leadership of lay and ordained members of the Episcopal Church. All applicants to the academic and ministry tracks are asked to describe how they plan on developing the next generation of lay and ordained leaders for the Episcopal Church, whether this is in the context of academia, a local congregation, through a church-wide initiative, or in another setting. · ECF is a lay-led organization of the Episcopal Church. ECF is especially looking for scholars and ministry leaders who incorporate lay leadership development into their work. All members of the Church, whether lay or ordained, are invited to apply. · An ECF Fellowship provides both financial support and networking opportunities. ECF has typically awarded three to four Fellowships per year. New awards range up to $15,000 for the first year and are renewable for an additional two years. In addition to this financial support, new Fellows join a wide network of past Fellows and ECF partners with them so that they may share their knowledge, experience, and best practices with the wider Church. Please visit the ECF website to learn more about the Fellowship Partners Program, the application process, and be sure to review our list of Frequently Asked Questions. You will find profiles of the 2013 Fellows here and our complete list of all ECF Fellows here. Please email me or my colleague Brendon Hunter, Assistant Program Director, should you have any questions about this program or the application process. All of us at ECF are excited to celebrate the 50th anniversary of the Fellowship Partners Program, and we eagerly anticipate welcoming and announcing the 2014 class of Fellows in late May. Heartfelt thanks go to to all who assisted with the Dedication and Celebration of Bishop David this last Sunday. The event was a huge success. 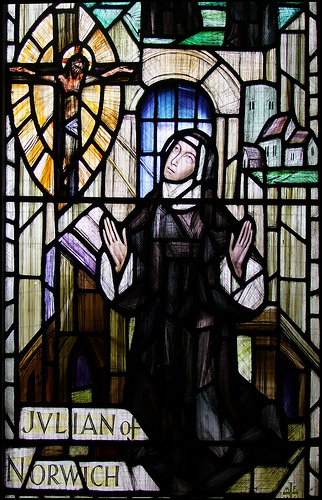 Many thanks also go to all those who attended and celebrated this very special day in our diocese. All forms sent to you in January via the post office are due to the Diocesan Office by February 27th. The forms are also on our website: www.diosanjoaquin.org. Bishop David Rice has arrived in the Diocese. Bishop David (as he wishes to be called) and his wife Tracy have taken up residence in temporary quarters in Fresno while they search for a permanent home in that city. Over the next few weeks there will be a number of events and meetings all of which will have to do with Bishop David becoming a bishop in the Diocese of San Joaquin. I want to remind everyone of what will be taking place, because every member of the Diocese is invited to participate in these events. 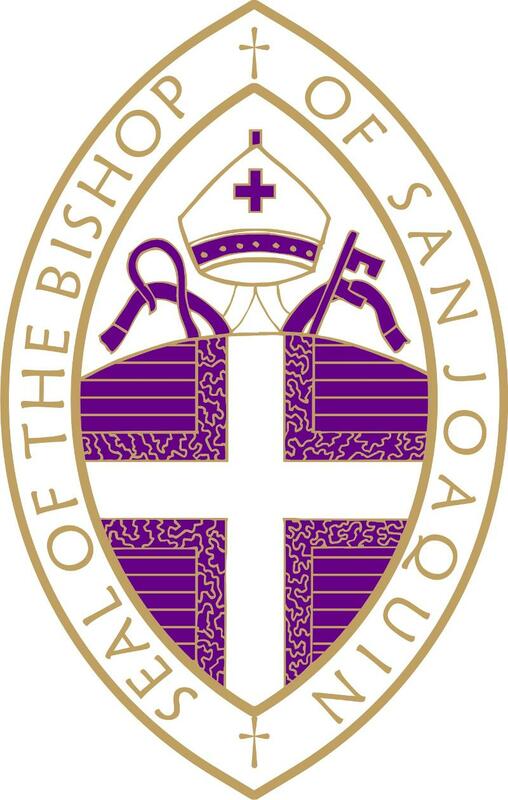 On Sunday, February 23, at 4:00 p.m. Bishop David will be recognized as the Bishop Assistant of the Diocese of San Joaquin and make the Oath of Conformity as a bishop in the Episcopal Church in the presence of the Presiding Bishop of the Episcopal Church, the Most Rev. Katharine Jefferts Schori. The service will take place at St. Paul’s Episcopal Church in Modesto. The entire diocese is requested…invited…urged…expected to attend. During the month of March each of the three deaneries will meet with Bishop David to get to know him, to hear from him about his background and experience and hear about his understanding of the mission and ministry of a diocese and its bishop and to share with him about whom we believe we are as a diocese. The first of these meetings will be the Southern Deanery which will meet on Saturday, March 1 at 11:00 a.m. at St. Paul’s Episcopal Church in Bakersfield. On Saturday March 8 at 10:00 a.m. the Northern Deanery will meet at The Episcopal Church of St. Anne’s Church in Stockton. The Central Deanery will meet with Bishop David on Sunday, March 16 at 3:00p.m. at Holy Family Episcopal Church in Fresno. Please attend the meeting of your respective deanery. It is important for everyone to attend your deanery meeting as these are meetings to prepare for the Special Convention to elect the next Provisional Bishop. Bishop David will be the Candidate for Provisional Bishop. Finally, Saturday, March 29 is the day of the Special Convention to elect the Provisional Bishop at 11:00 a.m. at St. Paul’s Episcopal Church in Bakersfield. Everyone is invited to the Convention (not only clergy and lay delegates and alternates who must attend), but everyone. Following the Convention, still at St. Paul’s Episcopal Church, Bakersfield the newly elected bishop will be Seated as Provisional Bishop of the Episcopal Diocese of San Joaquin within the celebration of the Holy Eucharist. All members of the Diocese are invited to participate. Banners for the Service of Dedication and Celebration with Bishop Rice on February 23. All Churches in the diocese are invited to send their banner (along with banner stand) and a banner bearer (with their own alb or other vestments) to the service welcoming Bishop Rice as a bishop in the diocese and as he takes the oath of conformity. Please let Canon Kate know if you will be bringing a banner and who your banner bearer will be by emailing: kcullinanne@diosanjoaquin.org. We’ve passed the two thirds mark on reservations for the Special Convention Bus! Take off is 5:30 a.m. on March 29th from the Park and Ride lot on the west side of Vintage Faire Mall in Modesto. March 8thremains the cutoff date for the $50 rate. All reservations after the 8th (if available) go to $65.00 until the bus is filled. Don’t miss this opportunity to participate in this Special Convention at one of the diocese’s newly returned churches. Father Glenn Kanestrom has promised no homilies, but may break into song. For information and reservations contact (209) 869-1075, or ctkriverbank@sbcglobal.net. Be there or be square! The 2014 United Thank Offering Grant Application is now available. The following information should be helpful in preparing a United Thank Offering grant application. All additional forms necessary for the completion of a United Thank Offering Grant are also included below. The deadline for submission of a completed application (and required documents) is 5pm (EST) on Friday, February 28, 2014. If you need assistance or have questions about the application, please contact Heather Melton, United Thank Offering Coordinator. games, a raffle and silent auction. February 21 & 22, 6:00 -8:30 p.m. The geese are flying south again; I hear them honking in the sky and I go out to look for the long waving V that is the shape of their communal life. It is mid-February, and the geese should have been flying south over Kernville last November. I check again; yes, they are going south, lots of them. Winter was late in coming, and so are the geese, I guess. But this isn’t how it’s supposed to be. I don’t know whether to delight in the geese or to feel the rage (of a long time teacher of scientific thinking) about the fact that politicians keep “playing” with climate change, or to fear the loss of the seasons and the order of the world as I’ve known it. Which is to say that I have skipped over my one real choice, namely to show up fully for and in the present moment. From the Gospel, it is given even more radically by Jesus that, if there are impediments in your consciousness, attend to those; get rid of anything and everything that separates you from God, even your own body parts! In times of uncertainty, the guidance is clear: show up with all your heart and mind for the present moment. It’s not enough to check off in the rulebook that you did all the right things in all the right ways. It’s not enough that you were in the correct political alignment with the best of all bishops. You do not belong to Bishop Chet or to Bishop David-one plants, the other waters, but you are God’s field, God’s building, God’s very place of residence. Yes, it is a time of change in the Diocese of San Joaquin, another time of change, change upon more change, but one thing is constant: that if we as individuals and congregations and as the collective that is the Diocese of San Joaquin show up for the present moment, neither clinging to the past, nor engineering the future, but just meeting reality as it presents itself, we will be saved. If we fall into the reality of the present moment, giving our real selves in full trust, saying what we really mean, as Jesus habitually did, we will certainly fall into God’s embrace, as Jesus also did. In surrender to the present, we make the most radical choice; we are the wisest of fools because reality, shifting and changing moment by moment, meets our hearts as they too shift moment by moment. And that dance is where God lives, where God meets us in infinite embrace. in the lap of life. Rev. Anne Benvenuti, Ph.D., is an assisting priest at St. Paul’s, Bakersfield, a professor of psychology and philosophy, and a published poet. She is the author of the forthcoming interdisciplinary treatise on human-animal relations, Spirit Unleashed (Wipf and Stock 2014). 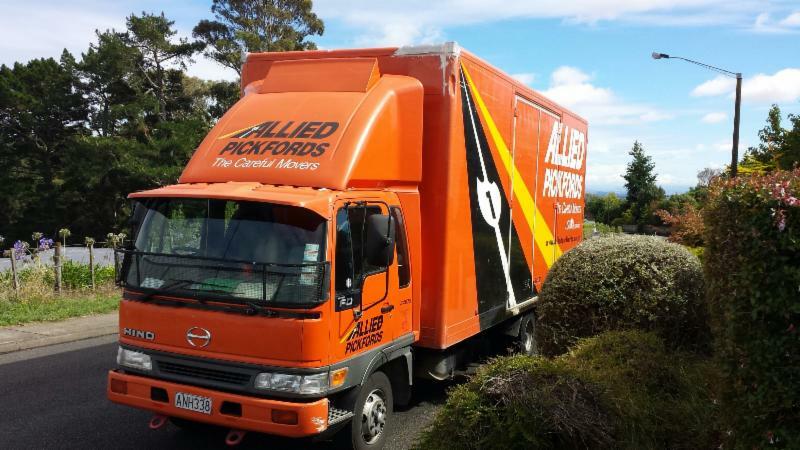 The Rice’s are on the move! 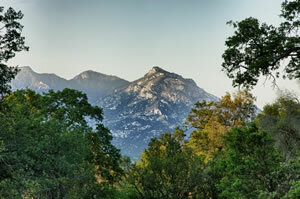 The clergy conference this Spring will be held at St. Anthony’s retreat center in Three Rivers. The Rev. Gay Jennings will be our retreat leader for this pre-Lenten retreat. The Registration form can be found here. Your glass maybe half empty, but the Northern Deanery bus to the Special Convention is over half-full!! Remember March 8th is the cutoff for the $50.00 fare to the March 29th Special Convention in Bakersfield. If seats remain, the fare goes to $65 afterwards. The bus will depart the Modesto Vintage Faire Park and Ride promptly at 5:30 AM with an evening return. Continental breakfast on the way out and refreshments on the way home included in the fare. For information and reservations contact (209) 869-1075, or ctkriverbank@sbcglobal.net. Be there or be square! Diocesan Council Teleconference Meeting, Thursday, February 20, 2014, 6:00 p.m.
40 years, are you kidding? The 21st century is about instantaneous results. The changes have been astounding. Kids have little concept about ‘waiting’. I wonder if a drawback to all this technology is the need for quick results. Problem solved – on to the next task. In our quest to take care of problems – in schools, business, home and church – do we focus on the symptoms, mistaking them for ‘the problem’ – cure the symptom and forget about taking time to find out what’s really happening. For example, when you come down with a cold, you take medication to alleviate the symptoms of the cold; fever, stuffy nose, sore throat, sneezing, coughing – but do we try to minimize our exposure to viruses, that cause of the symptoms, or do we practice a lifestyle that will build our immune system which will also minimize viral infection? Given how much we spend on cold medications it appears that it’s easier to take a couple pills or a tablespoon of liquid medication. In the Old Testament reading, Isaiah is called to address the problem of false religious observance. This morning we hear about ‘fasting’ as one of the symptoms. The root problem is people who observe spiritual disciplines for selfish reasons (to gain God’s blessings) while ignoring the hunger, poverty, homelessness, and nakedness of those in need. The problem is that the people are looking for God to provide for their needs because they have followed the law. The people think that they have been faithful. They imagine that their fasting and Sabbath-keeping have pleased God. The people have stated their complaint –– God has ignored their fasting. Now God states his complaint –– as an act of repentance or devotion, their fasting is fatally flawed. They have not fasted to honor God, but have instead fasted for selfish reasons. They have assumed that God would reward their fasting, so they fasted to earn the reward. Their purpose was not to give devotion to God but to gain a blessing from God. Their fasting, therefore, was exactly the opposite of genuine fasting. Rather than an act of self-denial, it was a self-centered grasping for reward. Their fasting was not an act of humility but of pride. What they are about to learn is that God considers them to have been majoring in minors –– to have been faithfully keeping the lesser parts of the law while neglecting “the weightier matters of the law: justice, mercy, and faith”. Being in relationship with God calls us to look at our own lives, to honestly compare what we do with what we are called to do. To not necessarily come up with a quick solution or ignore issues that may not seem to affect us directly. Literacy, high school drop-out rates, gang violence, poverty, unemployment – there may be relatively quick remedies for the symptoms, but God calls us to look for the root problem. I’m guessing it’s big and complicated. It may well involve us making sacrifices for the good of our community. Could it be that we are being called to spend some of our time and talent with those suffering social injustice? To give up time spent with our own family or our own leisure? Most definitely it will be monetary. There’s no way around it, whether directly or indirectly we will need to ‘pay’. Perhaps one of us will need to get involved politically…the solutions won’t be easy or cheap. As a community we can figure this out. Jesus points out that we are the salt of the earth; the light of the world. We are called to be, to do. Some say they can’t ‘do’ anything physical, and it is true. But you are still the salt and the light by your examples of leadership and caring that you give to us. And you still have a task that you can do – pray. In fact, we all can and need to pray – to ask God for help. Prayer is strong and it is needed as much, or more, today that ever. So our work is not done. We are called to let our light shine out, to continue our good works through the power of the Spirit we have received from God. AMEN. The Diocese of San Joaquin has enjoyed financial, emotional and spiritual from the Episcopal Church during our sojourn. About two years ago a Covenant Committee was established as a means of creating better communication between our diocese and the Executive Council of the Episcopal Church. Bishop Chet has appointed four people (Cindy Smith, Michael Glass, The Rev. Michele Racusin and Canon Kate Cullinane) and Executive Council appointed four people (The Rt. Rev. Barry Beisner, The Rt. Rev. Mark Hollingsworth, Dr. Fredrica Thompsett and Anne Watkis) to that committee. The committee meets by teleconference in advance of every Executive Council meeting. 1. The diocese received five properties back over the summer of 2013. In four of those five properties we had parallel congregations prepared to go back into the church buildings. All four of those congregations have experienced growth since returning to their properties. 2. The fifth property is currently rented to a Free-Will Baptist group and they are expressing interest in purchasing that property from us. 3. We are very excited about the anticipated arrival of Bishop David Rice from New Zealand in just a few weeks. 4. We are extremely grateful that the Province VIII bishops have given the diocese a grant of $100,000 over the next four years [$40,000 (2014), $30,000 (2015), $20,000 (2016), $10,000 (2017)] to help defray the costs of a full-time, non-retired bishop and assist us with a pension and benefits package. 5. There is growing excitement about the arrival of the Presiding Bishop for the Service of Dedication and Celebration as Bishop Rice takes the Oath of Conformity. Her presence with us at this time is being interpreted as on-going significant support. 6. We are also thrilled that the President of the House of Deputies has agreed to be our retreat leader for the first clergy retreat we will share with Bishop Rice. These highlights are being shared with Executive Council this week. I thought all of you in the diocese would like to see the report and know also of the very positive outlook in the diocese just now. I pray many blessings on all of your ministries. Cindy Smith, from St. Paul’s, Bakersfield , has been elected chair of the 2015 deputation to General Convention. Click here to read article about Bishop Rice and family on the Anglican Communion News Service web site. The Charter coach to the Special Convention on March 29th is now over one third filled! This coach departs Modesto at 5:30 a.m. on the 29th, with a same day return at approximately 8:00 p.m. Round trip fare is $50.00, which includes on-board refreshments both ways. If seats remain after March 8th, the fare increases to $65.00. Don’t miss this opportunity to participate in a very special event, whole leaving the driving to someone else. For reservations contact (209) 869-1075, orctkriverbank@sbcglobal.net. that one of the 2014 Football Top Recruits rated by 247Sports Rating is Tre’ Williams? Tre’ is an inside linebacker for St. Paul’s Episcopal High School in Mobile, Alabama and is in the Class of 2014. This month brings the beginning of one of my favorite things: the winter Olympics. The dates are in my calendar; I plan to spend as much time as I can watching the skating, skiing, sledding, and other events, grateful that people across the globe willingly set aside their differences and come together to play games. In our congregations and faith communities, February often means the coming together of new leadership teams. As annual meetings are held, new vestry members are elected or selected, and appointments are made to committees and task forces. It is a time of change, a time to welcome new faces and new approaches, and a time to reflect on what’s past and consider the way forward – keeping the things that are good and finding the courage to change the things that haven’t been working too well. How might a congregation ‘refresh’ it’s spiritual identity, keeping it front and center in all that they do? “Ongoing Discernment: The Way of Jesus” by Blair Pogue shares how St. Matthew’s Episcopal Church keeps Christ at the center of all they do through their practices Dwelling in the Word and The Way of Jesus. You’ve been elected or selected senior warden for your congregation. You’re eager to take on this challenge and, truth be told, a bit anxious. Demi Prentiss’ “Roadmap for Senior Wardens,” weaves the collective experience of senior wardens into a practical orientation tool to help you get started. In addition to these new Vestry Papers articles, ECF Vital Practices offers many other resources for congregational leaders. Recently, Linda Grenz, canon to the ordinary in the Diocese of Rhode Island and founder of LeaderResources shared a piece on vestry orientation. You’ll find her piece, The Vestry Hand-Off: Orientation for new members in Your Turn. Do you have a resource you’d like to share with other congregations? Consider posting it on Your Turn: If you’ve a subscriber, click on the Make a Submissionbutton. Not a subscriber? It’s easy – and free – just click here. If you are interested in seeing our Spanish language content, please visit our new, searchable index for our Spanish content here; then click on the “ECFVP en Español” button on the right side of the page. And, please remember to share this issue of Vestry Papers with others in your congregation, along with an invitation to subscribe to ECF Vital Practices. Subscriptions are free; visit ECFVP.org and click on the Subscribe tab on the upper right hand corner of this page. New subscribers are asked to fill out a short registration form to have Vestry Papers and ECF Vital Practices content delivered twice a month to your email inbox. Pastoral Care: Sometimes, it IS the little things. Richelle Thompson shares the blessings from her experience on the receiving end of pastoral care. Praying Facebook: Prayer on Facebook? May not be hip or new, but apparently it’s refreshing and meeting people’s needs. Great Vestry Retreats: Check out some great resources for orientations, retreats, and running meetings to kick-start your new leadership team. Winter ECF Webinars: With topics from Vestry Orientation to Basics of Endowments, register now for an upcoming webinar and enjoy viewing archived webinars, all for free! Vestry Resource Guide: Get your copy of the award-wining guide for being on the vestry. Most of the time when we hear February 2, we think of Groundhog Day. According to folklore, if it is cloudy when a groundhog emerges from its burrow on this day, then spring will come early; if it is sunny, the groundhog will supposedly see its shadow and retreat back into its burrow, and the winter weather will continue for six more weeks. And if the winter has already been long and dreary, we pray that there will be no shadow and that winter will soon be coming to an end. Not so this year. It seems that winter ended for us over a month ago. As Christians we should know that February 2 is the Presentation of Our Lord Jesus Christ in the Templeor The Presentation if you use Episcopal “church speak”. So this is a teaching opportunity. Why don’t we have this celebration every year? Pull out those Books of Common Prayer and turn to page 16. Under #2, we have the instructions for Sundays and the three additional feast days (it refers to page 15 when in line 1-2 “In addition to the dated days listed above) that can be celebrated on a Sunday. Note that the second one is The Presentation. So only when February 2, the set day for The Presentation, falls on Sunday would most of us even think about it. I recommend to you that you give pages 15 through 18 a read this week. There are rules about what we can do, when, and I have learned the hard way to be very careful about breaking them. (Can tell the story about Evelyn and the Holy Innocents.) Lesson learned. What is The Presentation about? As we are told in the gospel this morning, it is prescribed for in the Law of Moses. “According to Lev 12:2-5, the purification after childbirth applies only to the woman (in this case Mary). She is to offer a year-old lamb and either a turtledove or pigeon, but if she is poor she can make the offering as described by Luke (Lev. 12:8). Luke takes this opportunity to point out that the parents are among the poor of the land.” (Sacra Pagina, Luke, page 54). The other part is the presenting or “dedication of the firstborn son to God in memory of the Israelites’ deliverance from Egypt, when the firstborn sons of the Egyptians died and those of Israel were spared.” (Holy Women, Holy Men, February 2). There must have been many mothers and firstborn sons being presented at the temple inJerusalem that day. 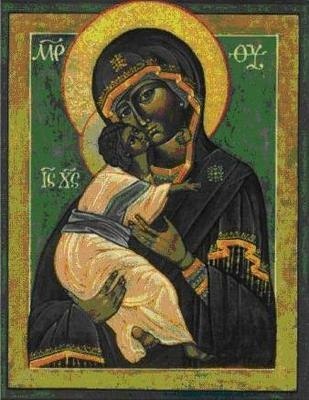 It becomes special because Simeon recognizes that this child is the Messiah. Simeon is led by the Holy Spirit to the temple…to this child! While Jesus was recognized by the shepherds at his birth, Simeon presents Jesus as the Messiah to the community. Simeon acts as oracle, to letIsraelknow for the first time that the prophecies have been fulfilled in this child. The Song of Simeon, or the Nunc dimittis, is said at the close of Compline and as a Canticle can be used between the lessons of Morning or Evening Prayer. His words of praise give us hope, because we recognize that Christ is “the Savior for all the world to see, a light to enlighten the nations”. “When Mary placed her small son into the arms of Simeon, it was the meeting of the Old and New Dispensations. The old sacrifices, the burnt offerings and oblations, were done away; a new and perfect offering had come into the temple, God had provided himself a lamb for the burnt-offering, his only son.” (Holy Women, Holy Men, February 2). In the letter to the Hebrews, the writer emphasizes that Jesus was fully human in order to be exactly like his brother and sisters, not for his sake, but so that we would be able to trust him. “Because he himself was tested by what he suffered, he is able to help those who are being tested.” (2:18). This is the part that is important for us today. How many of us find comfort in someone saying “I know what you are going through,” when we know they’ve never been in our shoes? We can find an amount of comfort in their caring, their sympathy, but our true comfort comes from someone who can relate to our circumstances because they have experienced them. And if there is no one else around us who has been through the same trials, Jesus has. Jesus is with us, beside us, experiencing the pain again with us. There is our comfort, our assurance that we don’t suffer alone. It’s what makes us followers of Christ, the promise that Jesus was and is our brother, the one who willingly gave his life to redeem us all. We can trust in him because he was one of us. Maybe next February 2, you will think first about it being The Presentation and second about it being Groundhog Day. The lifting of the child by Simeon in the temple is infinitely more important to our lives than the groundhog being lifted up by the mayor of Punxsutawney. AMEN.